Enjoy this very special experience in Sweden's wild nature. Enjoy the seclusion and silence as the dogs pull you over the pristine snow. 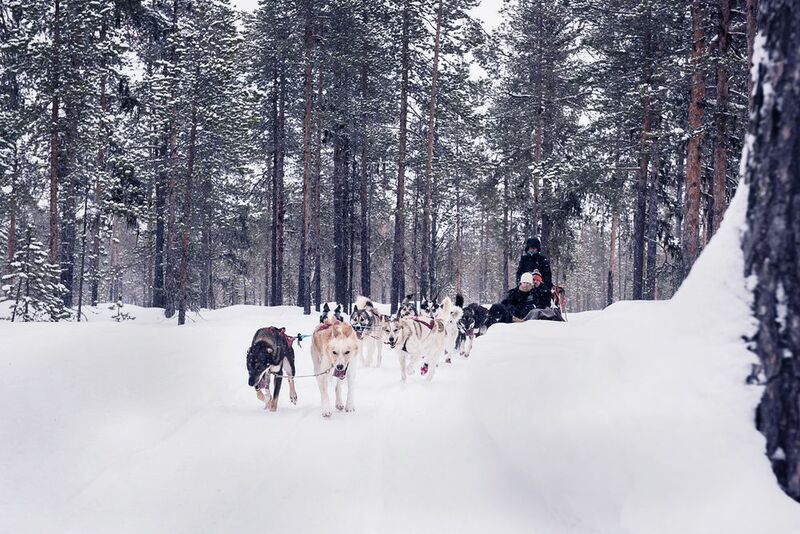 Explore the landscapes of Swedish Lapland with dogs. 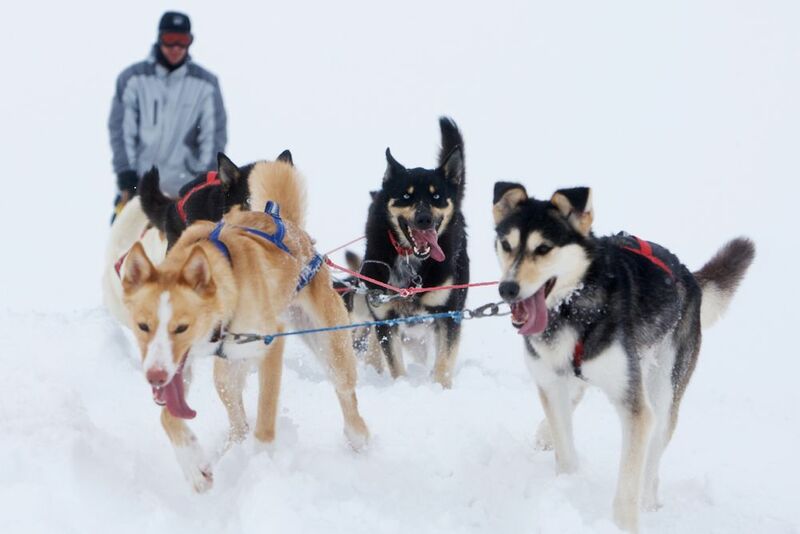 These trusty dogs are full of energy and effortlessly pull their sleds. ... and the most original way of traveling. 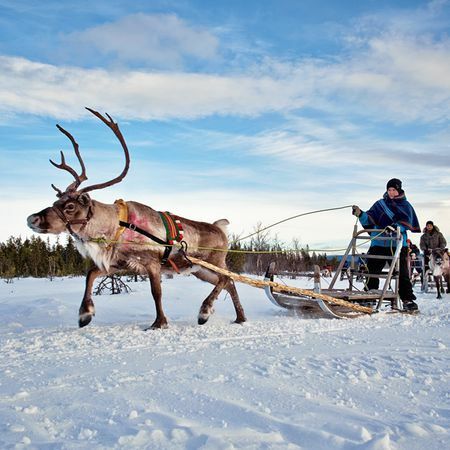 Take a dog sled through the Land of Seeds, the Dancing Northern Lights and the Midnight Sun. Far away from civilization you can leave the stress of everyday life behind. 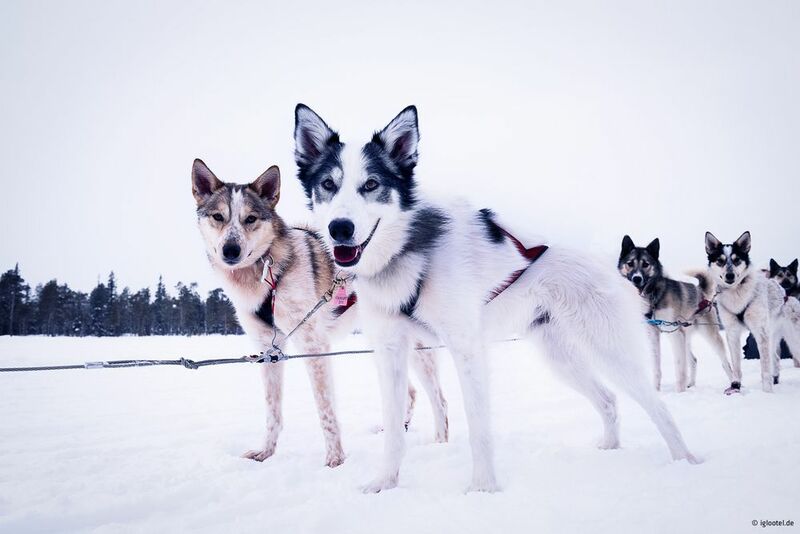 The endurance of the dogs and the unique landscapes make this experience an unforgettable experience. Hear the crunch of the snow under your shoes. 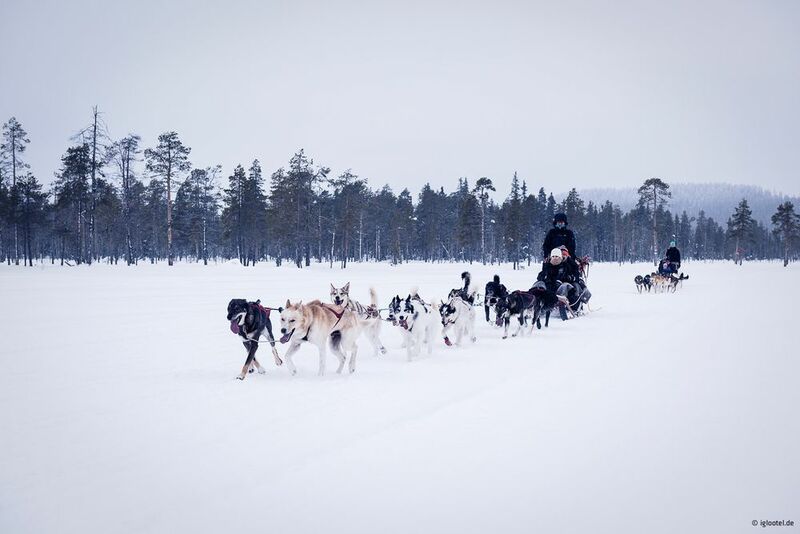 Drive over frozen lakes and snowy landscapes of the Swedish Lapland with a sturdy canine team. The excited barks will be calling you from far away. 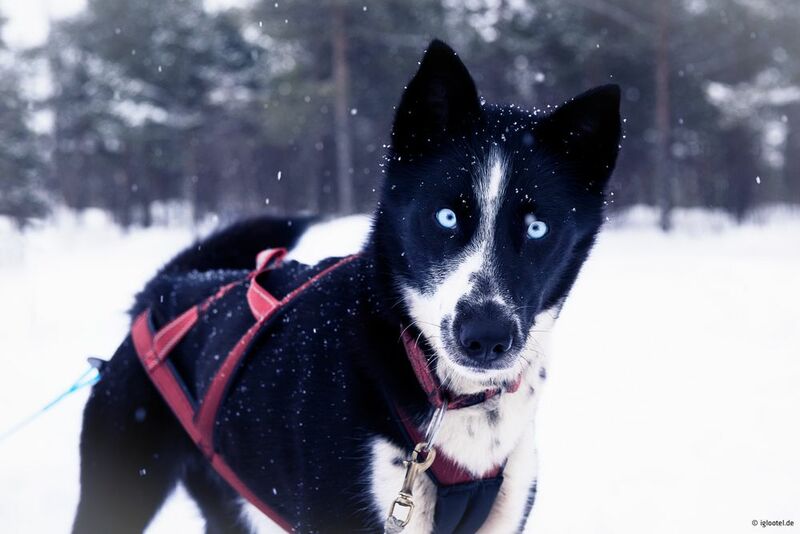 Get to know the dogs and learn from your guide how a dog sled is controlled, as well as what is important in communicating with the animals. Well instructed, the dogs pull you effortlessly over the snow. 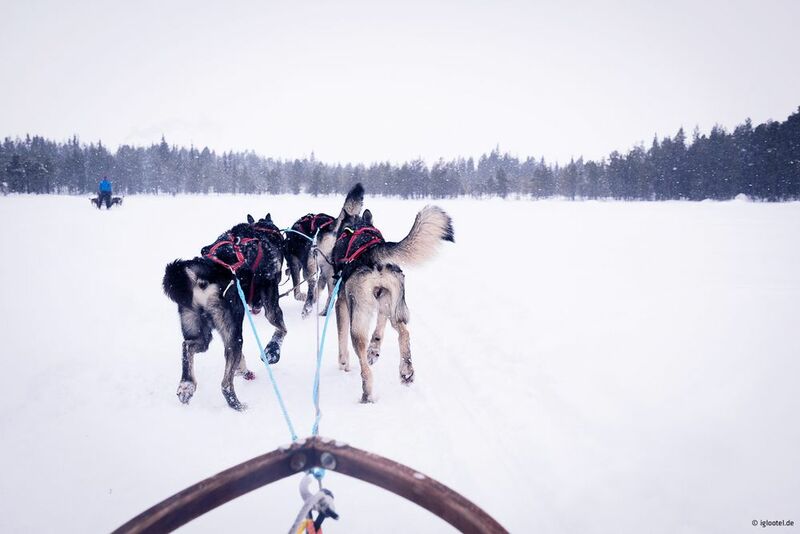 Sit on the sled while your musher, the sled leader, guides your sled across the snow-covered ground. Feel the wind caused by the incredible energy of these strong beasts. While you're at it, capture unforgettable moments with the camera and enjoy the silence in the endless expanses of the Swedish Lapland. Please note that this experience is only possible in conjunction with a stay at the IGLOOTEL. 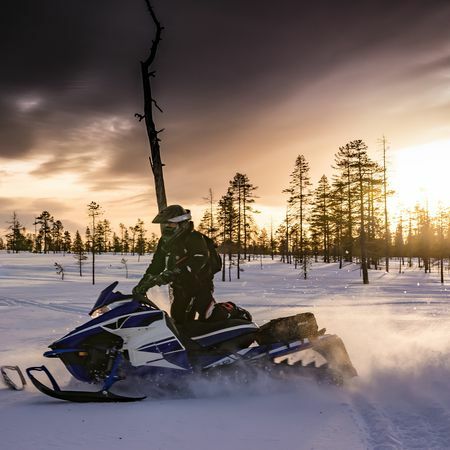 Experience pure adrenaline when riding the snowmobile through the winter landscape.